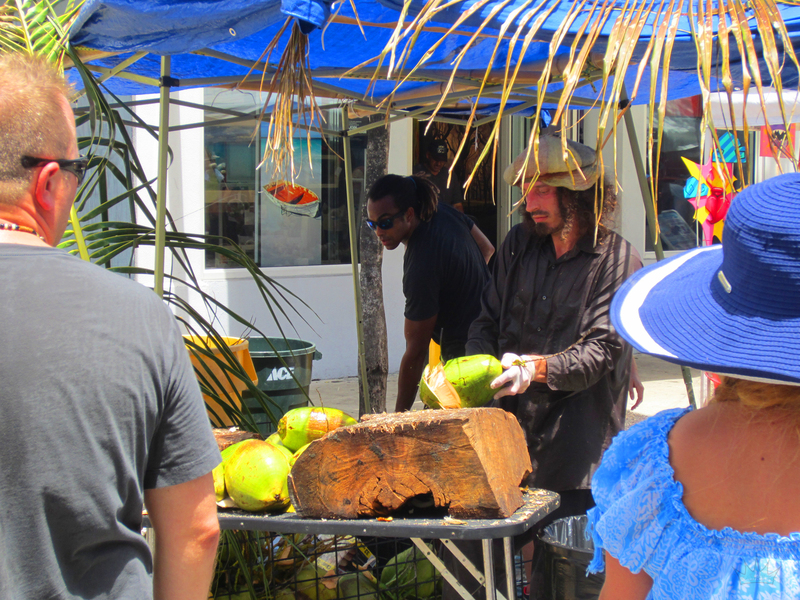 You know a festival will have a lasting impression on you when it’s a real experience. This past weekend’s Quadruple F tour stop was just that – an experience. 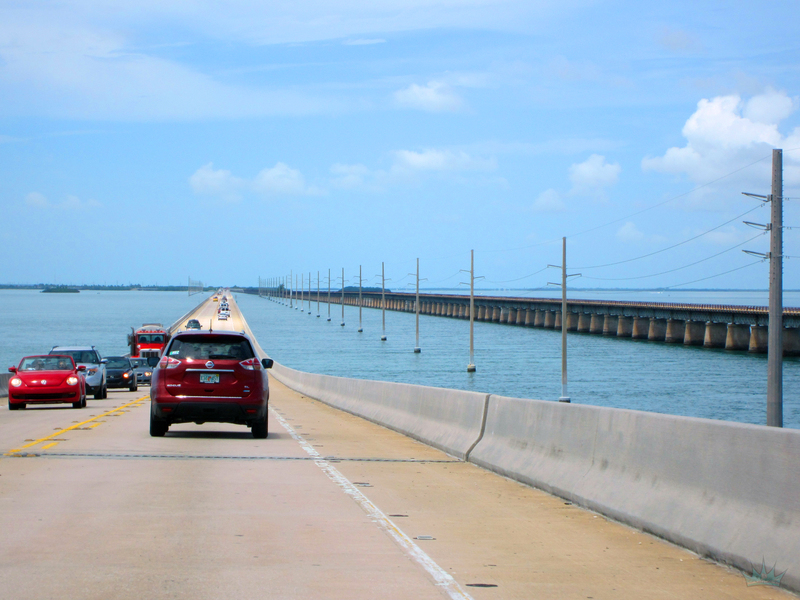 We always love the drive to Key West. Some folks don’t enjoy long car rides. I particularly don’t either – especially if I’m driving from one side of Kansas to the other (and I have done that before). 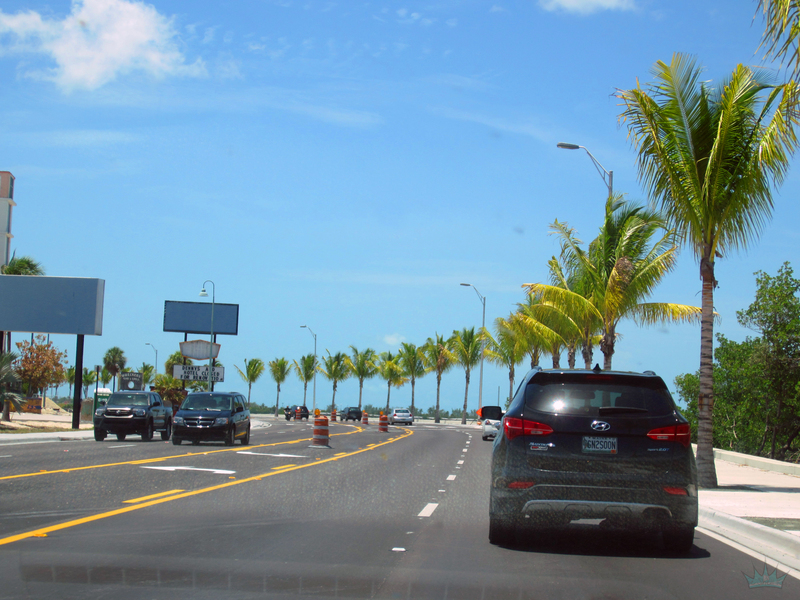 But in my opinion, you couldn’t pick a better scenic route than Route 1 through the beautiful Florida Keys. 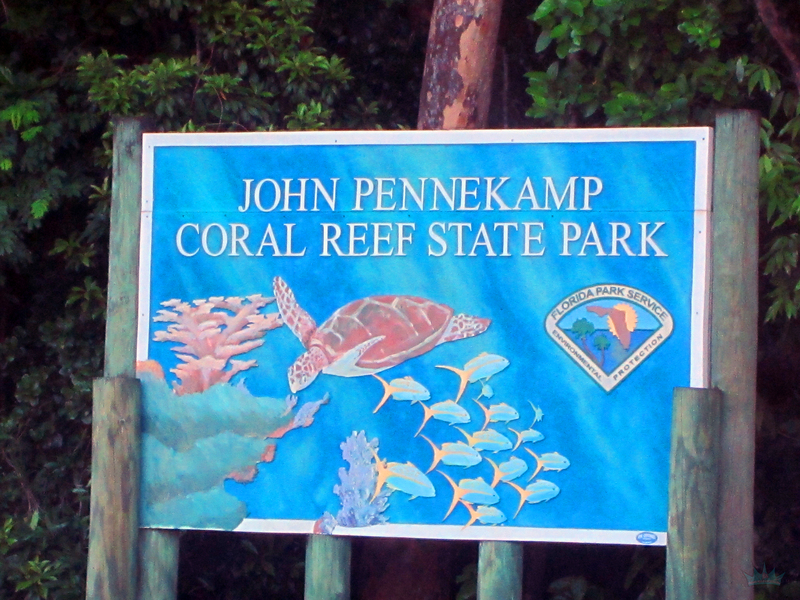 Before we headed out to enjoy some succulent lobster, we decided to stop off at John Pennekamp Coral Reef State Park and go on an early morning snorkel tour. 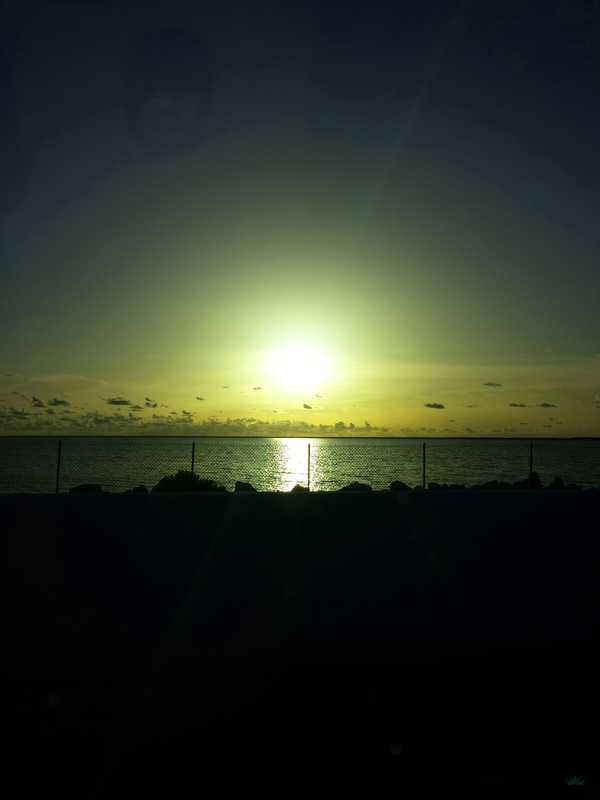 So I dragged my sleepy Queen out of bed bright and early, caught a killer sunrise snapshot and headed over to Key Largo. 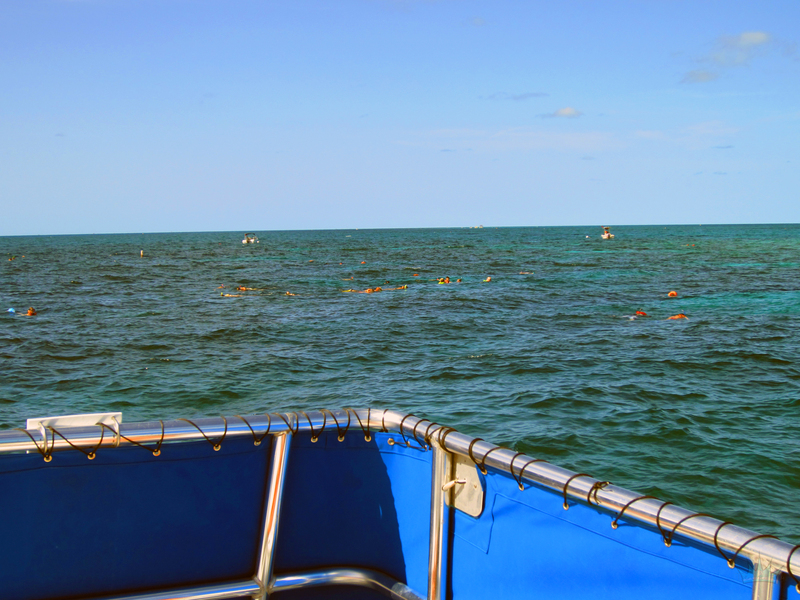 The Queen and I are snorkel freaks. 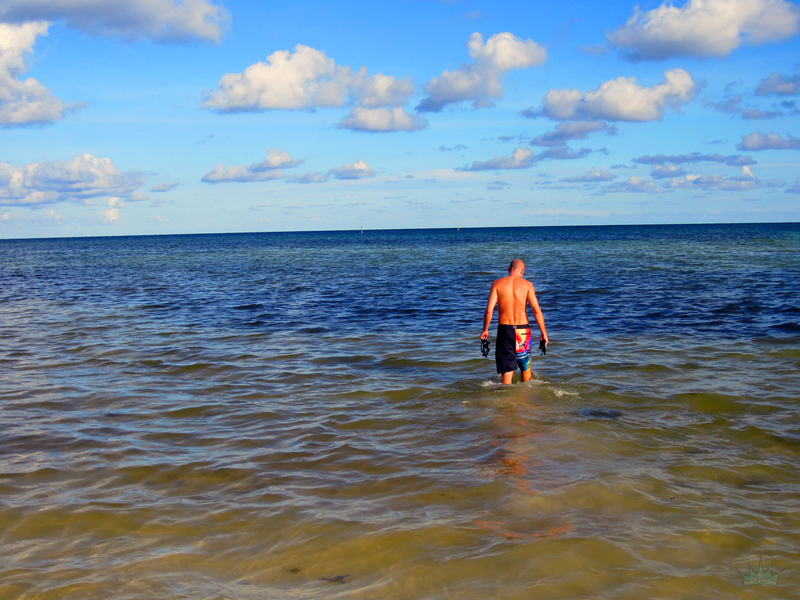 We’ve snorkeled just about everywhere. 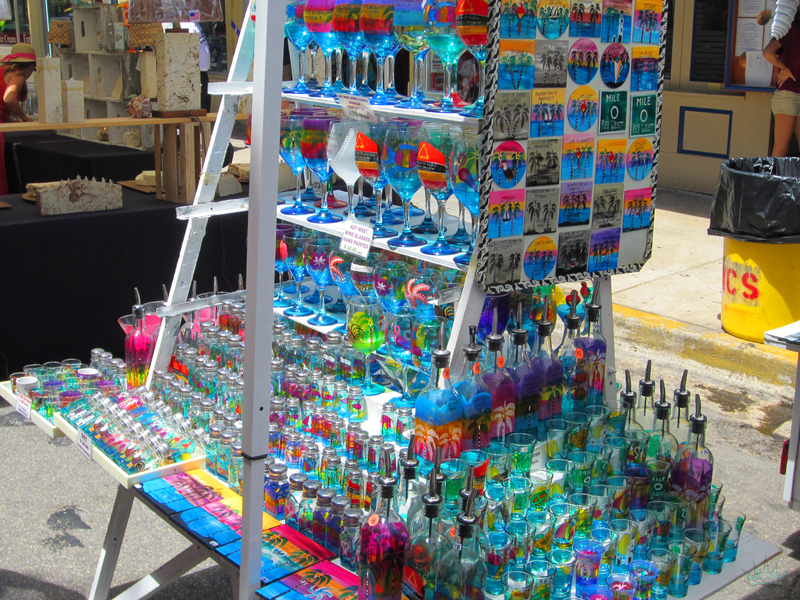 This one is a must do if you’re passing through the Keys. It’s $29.95 for 2 1/2 hours in the water. 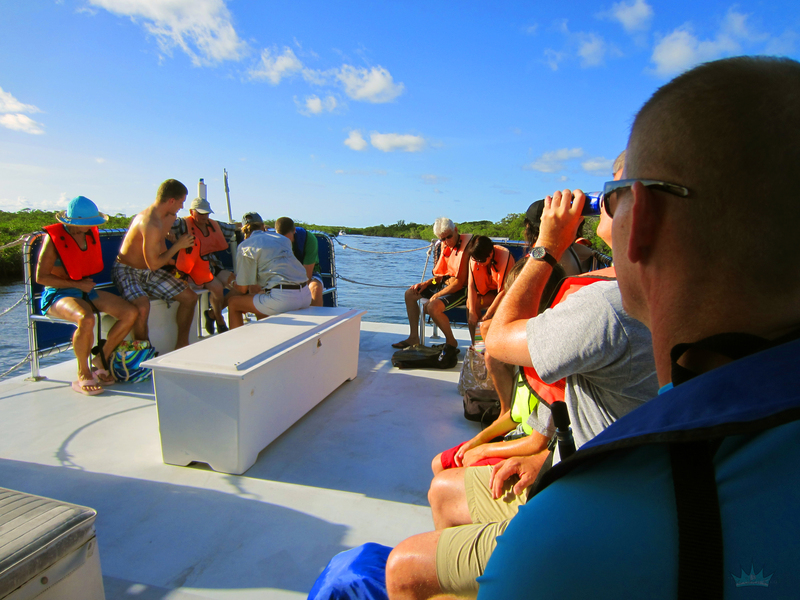 You can go on a 4 1/2 hour tour for $38.95. Since we were pressed for time, we elected to go on the short one. We shoulda done the longer one. 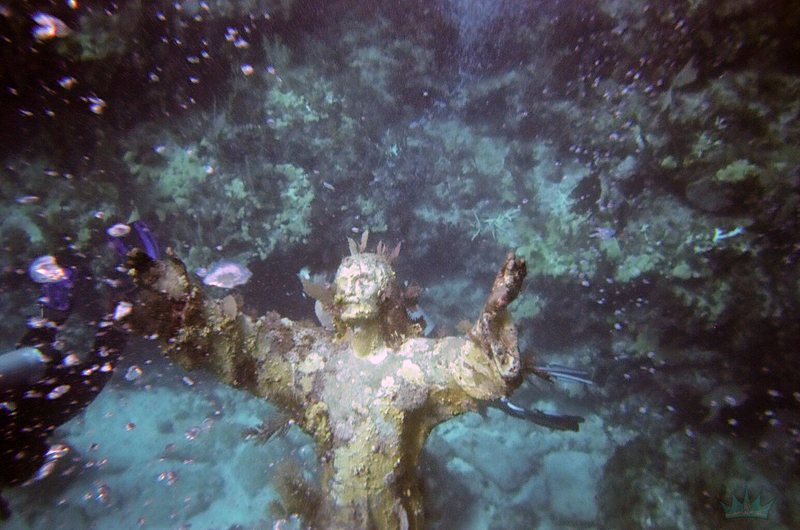 They took us out to the Key Largo Dry Rocks, also the home of the famous Christ of the Deep statue, which sits about 20-25 feet below the surface. 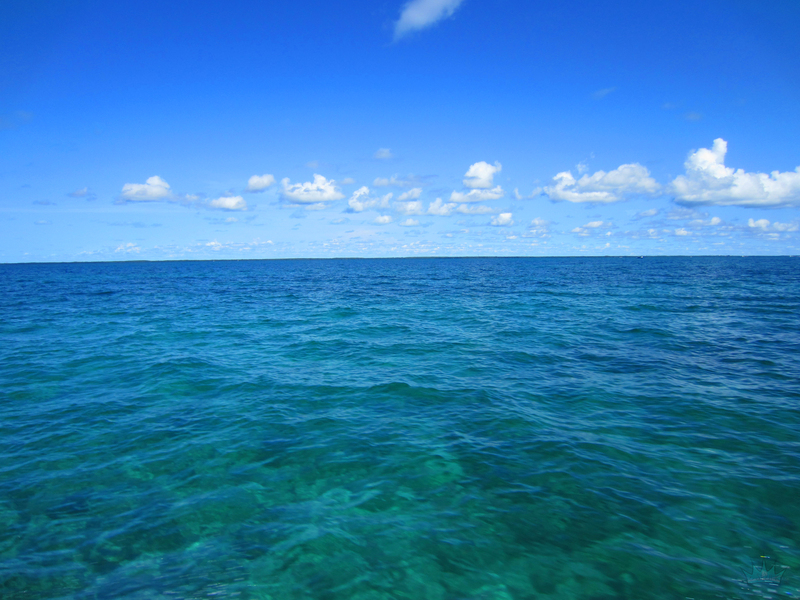 The water was over 90 degrees with visibility of probably 50 feet. 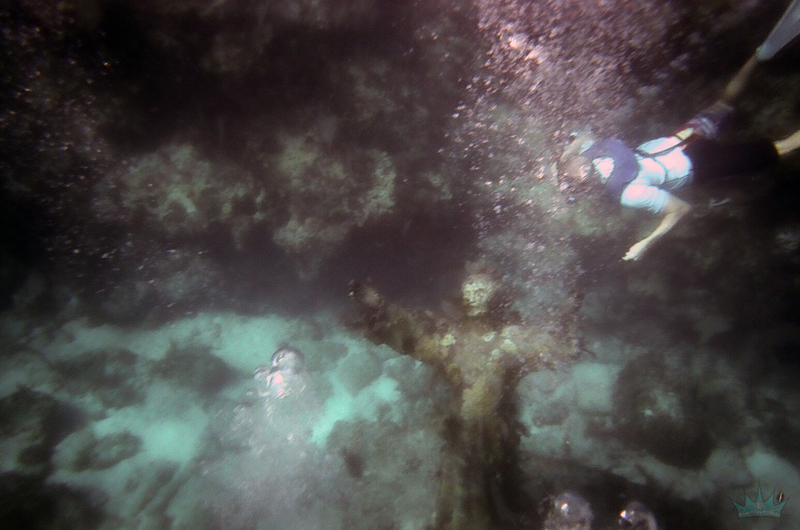 The Captain said, “For a real religious experience, dive down and give it a big hug”. But don’t do that. 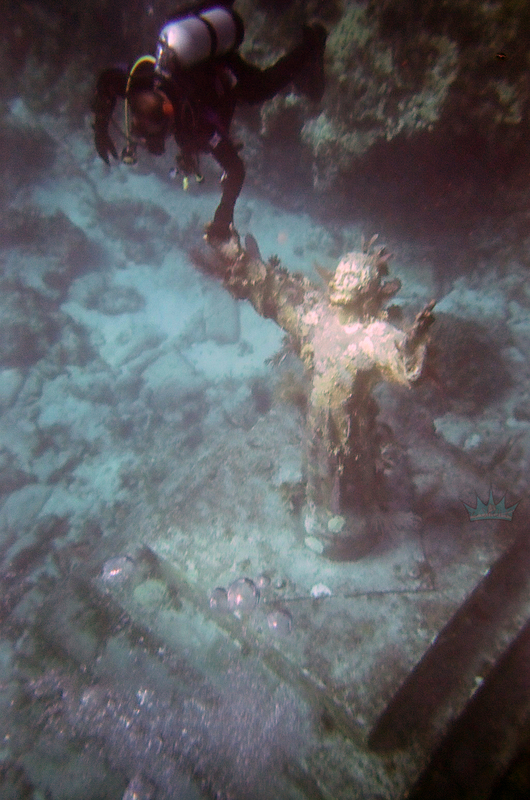 It’s totally covered in fire coral, except for his hands, which I high fived. Unfortunately, Pennekamp is a “no touch, no take” state park. Meaning, don’t touch or take anything home with you. I was sad because as a sheller, the sea floor is littered with goodies. My heart especially sank after realizing that I couldn’t take home the two very large (but live) Queen Helmets I stumbled across. 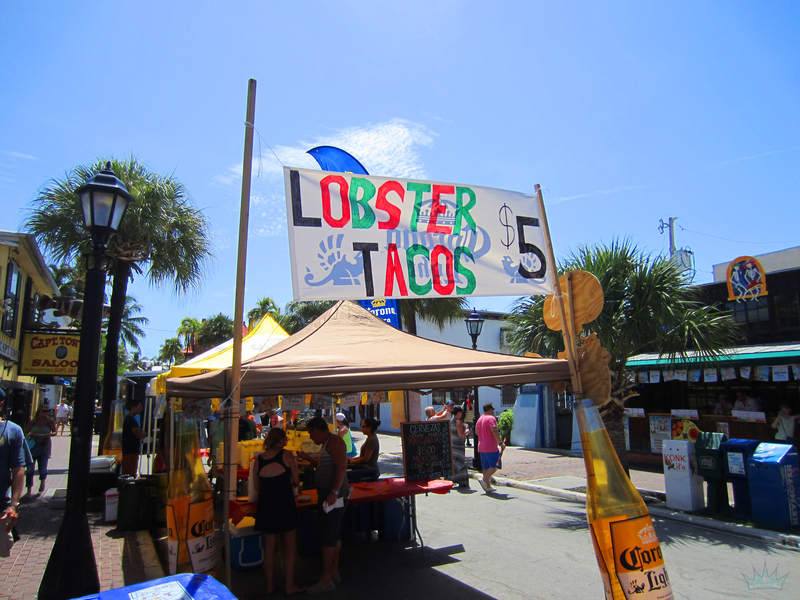 So after we dried off and changed, we were off to Key West for some lobster! 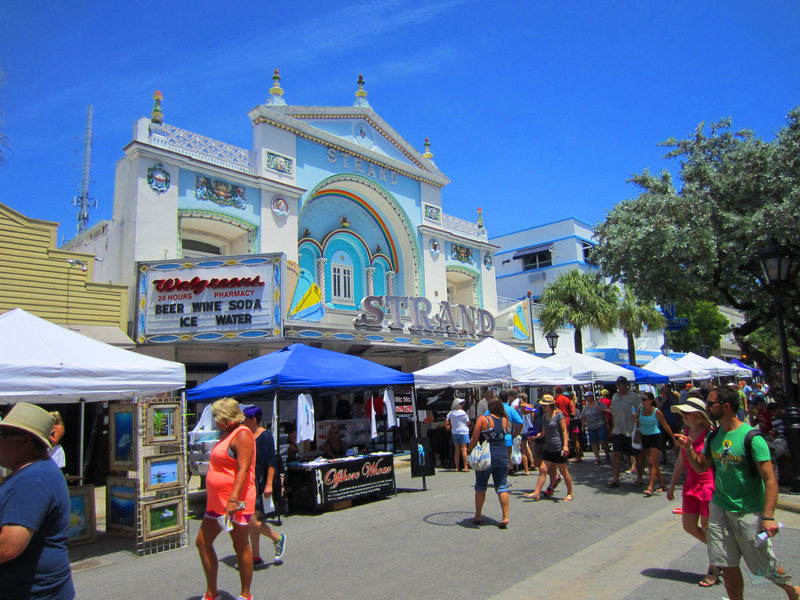 So upon hitting the main drag, the Queen says, “Wow, this is what I call a festival!” And it is. Not just a festival. It’s an experience. So why is it an experience? 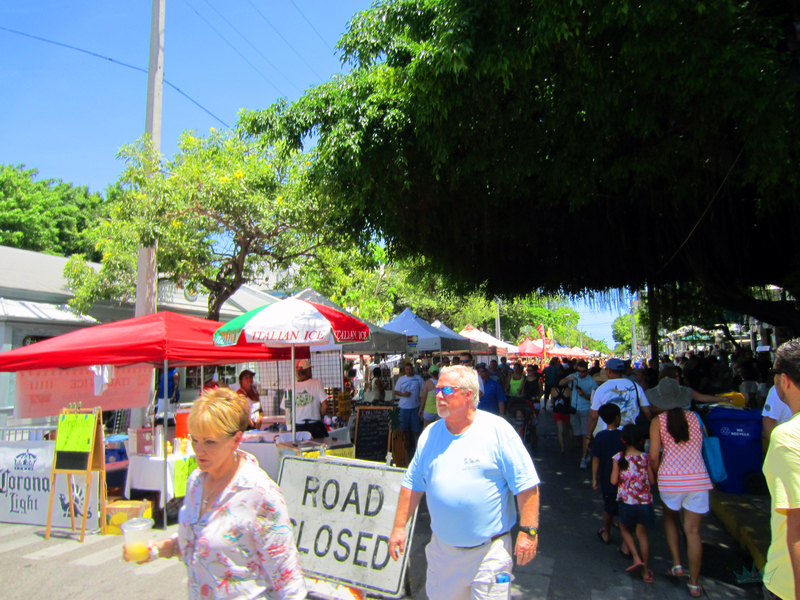 Key West is known for it’s pretty free environment. If you wanna dress in a pink thong and walk down the street, you can. Wanna dress up like a pirate? Go right ahead. Start a parade in the middle of the street? Do it. Now I’m not one to dress in drag and walk down the street in broad daylight. 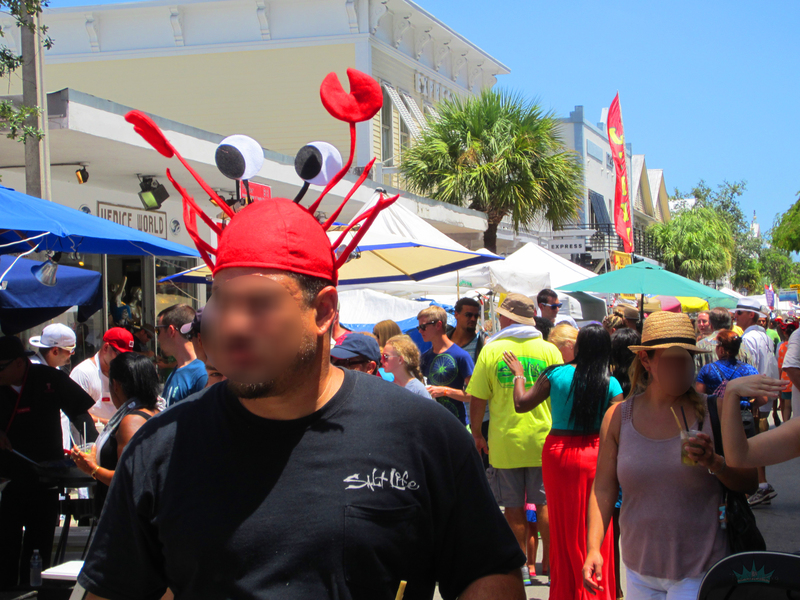 But if I wanted to, Key West would be the place to do it…and no one would think I was weird. I think that’s part of the charm as well. We people watch. 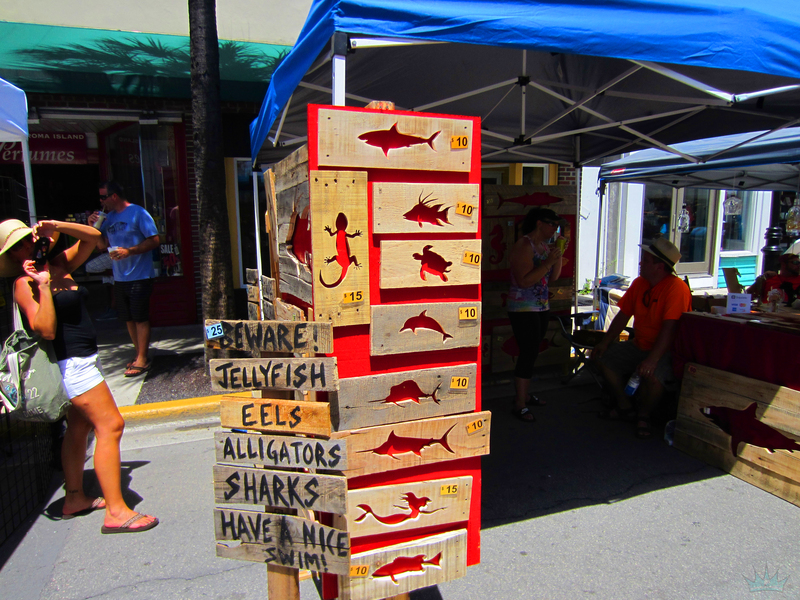 It’s entertaining, especially in Key West. If you haven’t been, you definitely need to make the trip. It’s beautiful. 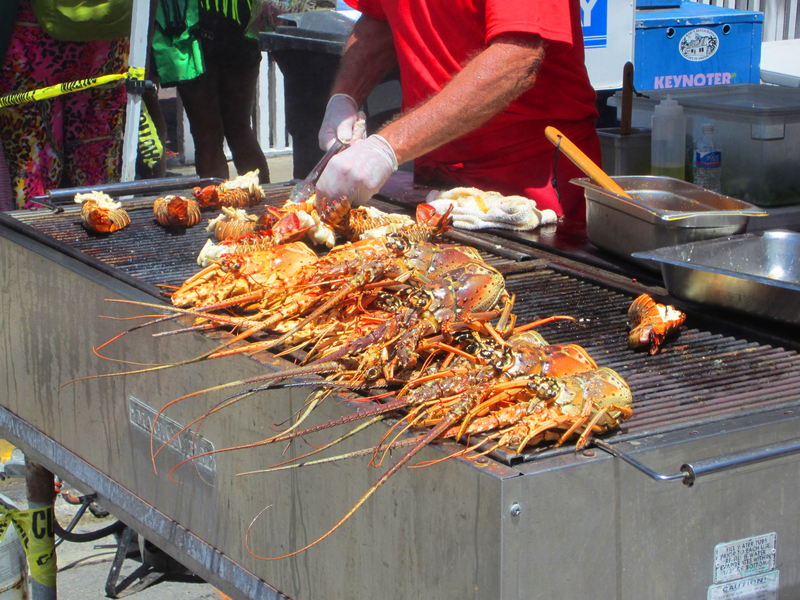 You could smell the lobstah from all the way up Caroline street. 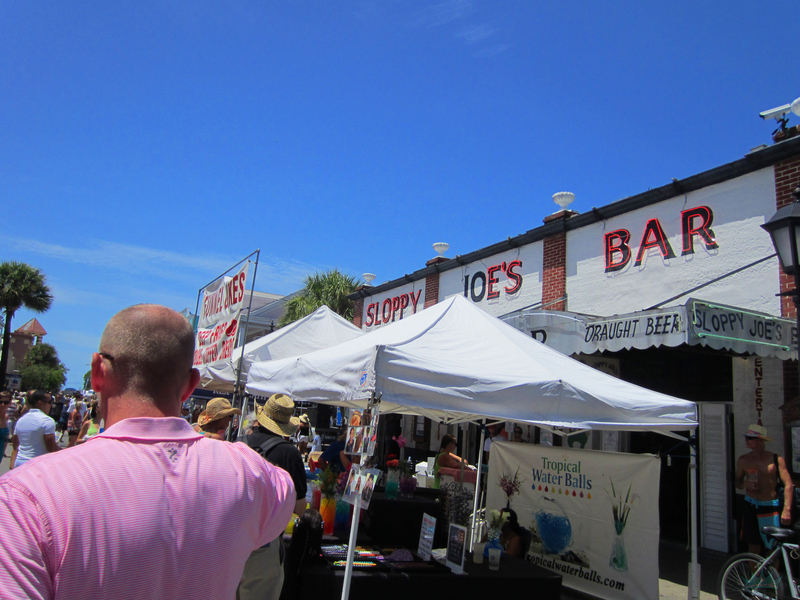 The festival was a full six blocks, and it was packed to the gills. 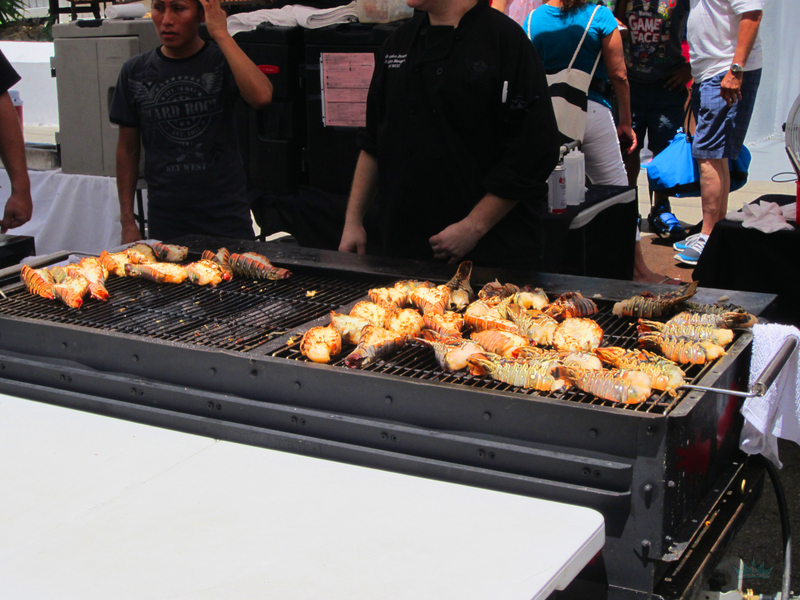 Loud music, people hollering and dancing and the sweet smell of grilled lobster – a real festival environment. 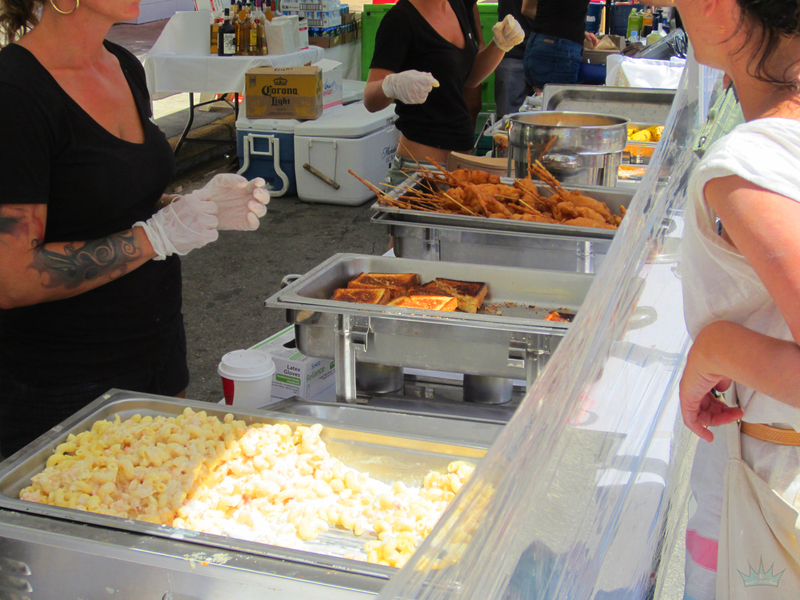 It was truly difficult to decide what to eat, because there was deliciousness all around. 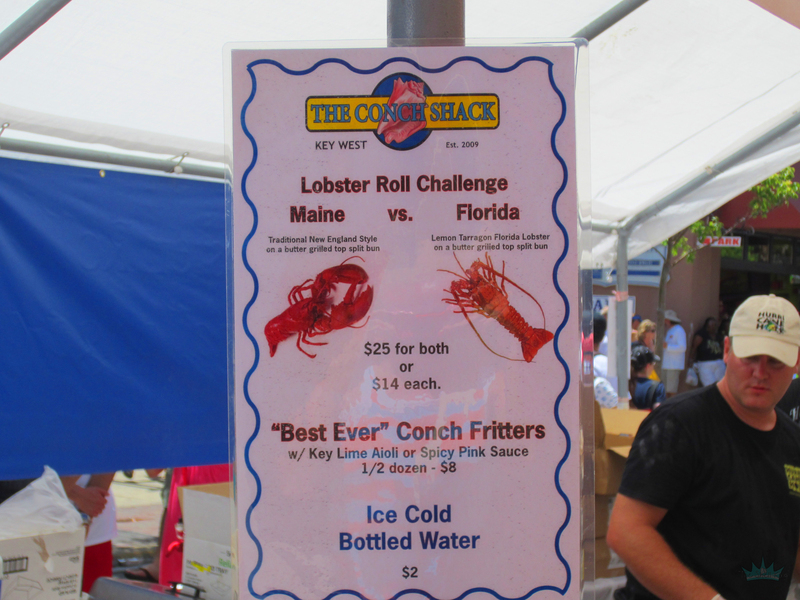 Now, I have never had a lobster roll. I have always wanted to try one. I like warm weather, so I’m not going to Maine to get one. I told the Queen that I hoped they would have them there. They did and we immediately jumped in line to get one. It was everything I thought it would be. 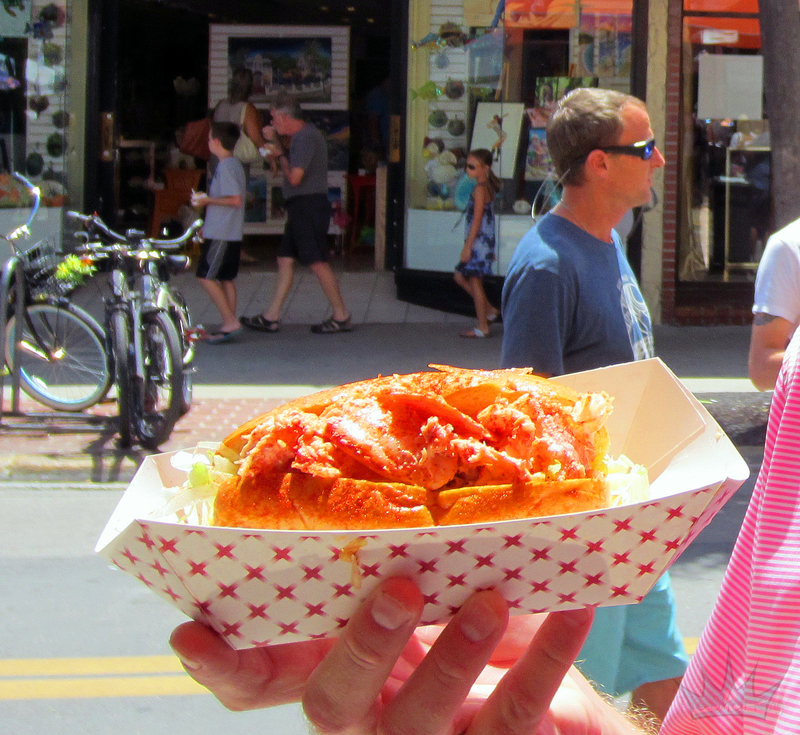 Solid chunked, chilled lobster with just enough mayo and paprika….tossed on a buttered and toasted roll with lettuce. Delicious! But that wasn’t enough for us. Then the Queen saw lobster mac n cheese. 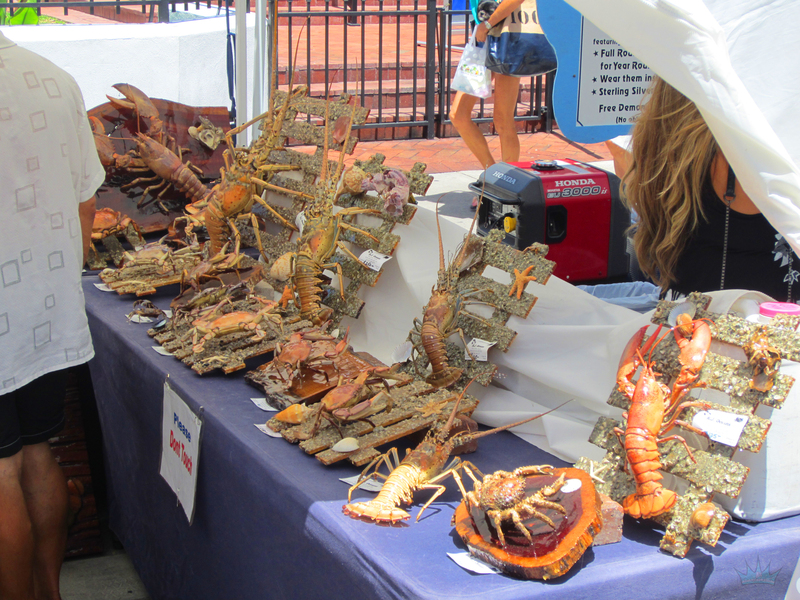 and I saw Honey Tempura lobster tail…on a STICK DUDE! $25. Was it worth it? 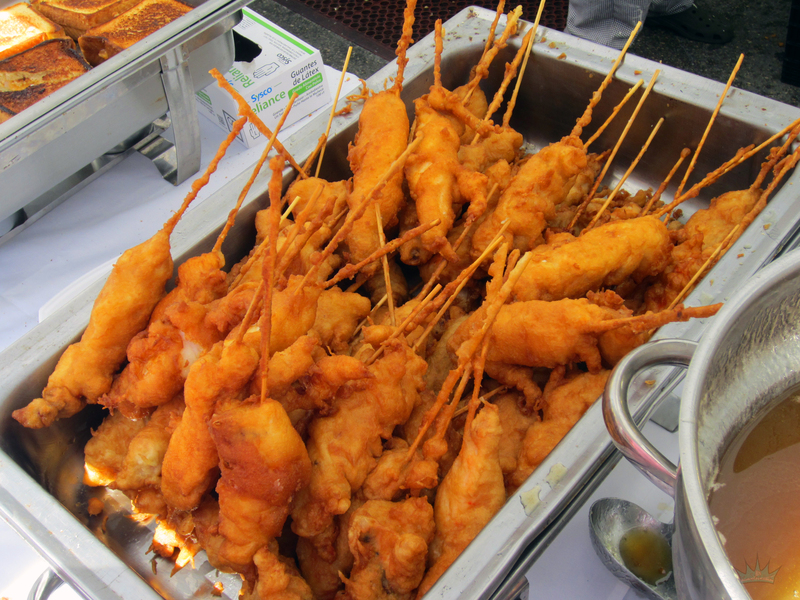 Honey Tempura lobster tail on a stick. Let that sink in for a minute. It was blazing hot with a temp over 100 degrees. 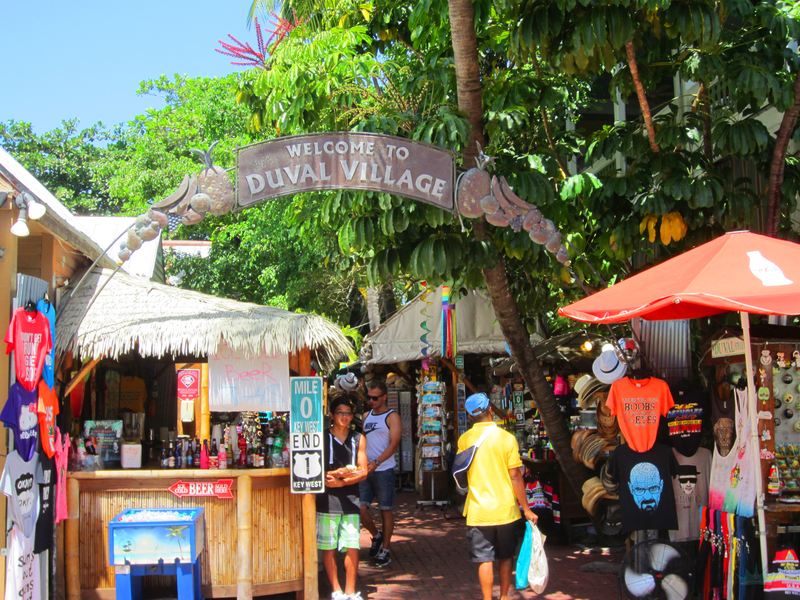 Time for a sno-cone…..
and some rest under the Banyan tree on Duval Street. 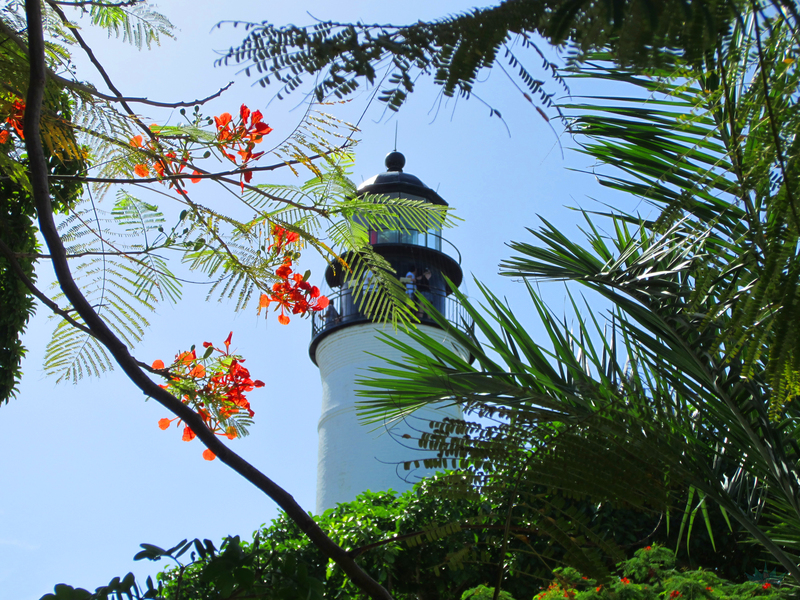 After a (long) hot walk to the Southernmost Point, we stopped at the Lighthouse and the Ernest Hemingway house. 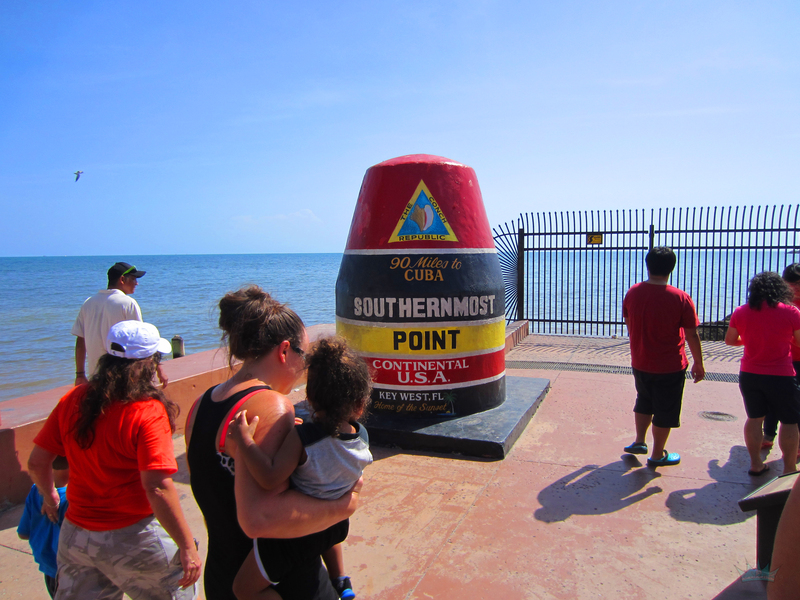 Drenched with sweat and severely overheated, we headed back to the car and made our way back up to the Upper Keys to our hotel. 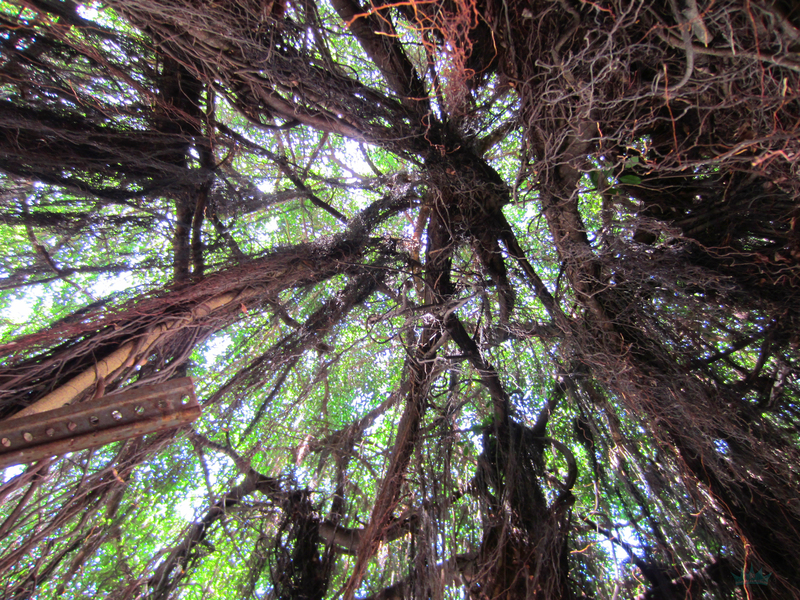 Snorkeling, scenic driving (with a stop off and swim at Anne’s Beach) and festivalling – you just can’t top it. We will do this trip again.